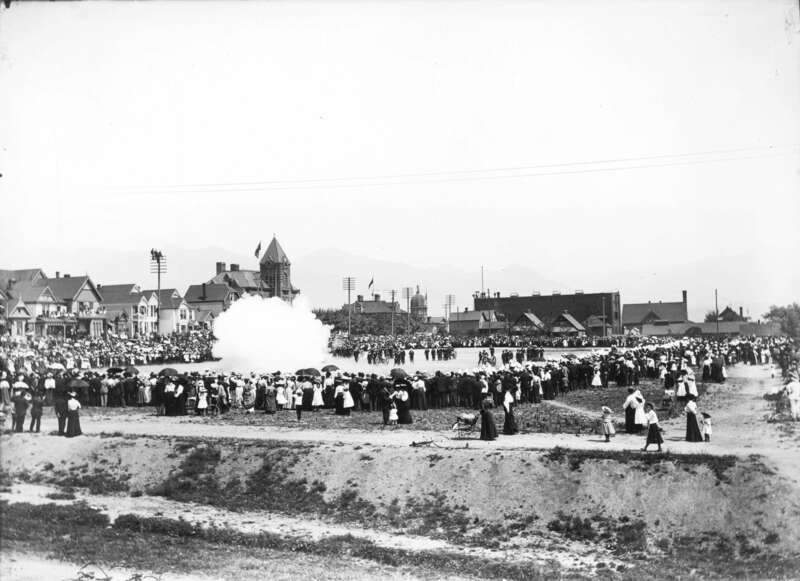 Photograph shows spectators watching canons being set off at grounds. Photograph also shows surrounding buildings, and three men sitting on top on an electrical pole. Attached label reads: "When Jack came ashore from the War ships in the harbour, on the 1st of July he usually made a hit with the Girls, same as now: and we expect he won't forget to charm us with his humour during the Jubilee. Here he is blowing the atmosphere to blazes on Old Cambie Street Grounds. Philip Timms."